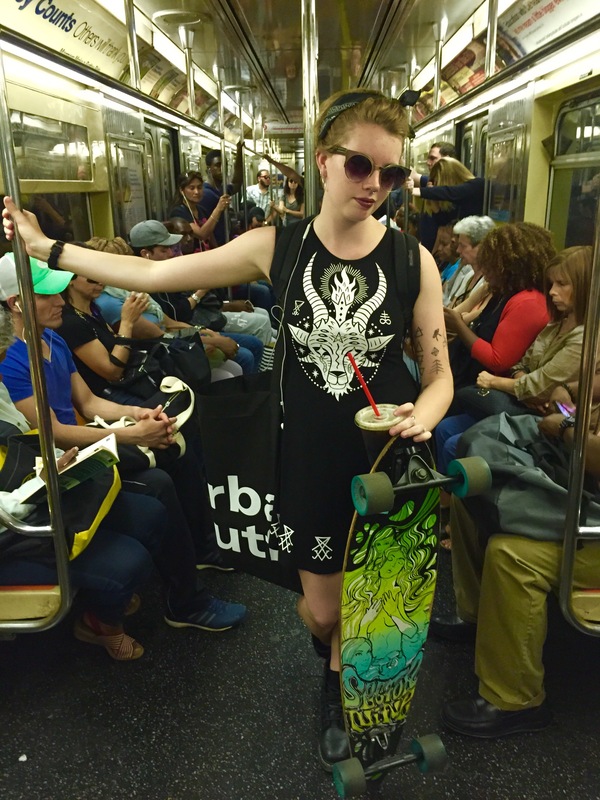 This skater girl is a designer and the beauty she is holding in her hand is one of her creations. Because she is designing longboards for Sector9 and travels to California every now and then for them. Now based in New York she is also working for a company designing lingerie. I wondered about her tattoos on the arm – unfortunately you can not see them on the picture – sorry! But she told me that they represent the seven shakras because she used to be a Yoga teacher as well. Sometimes I have to think a little bit longer if I want a person on my blog. That was a no brainer. And I am always so happy that such cool people have even such a super cool story to tell about themselves.